Yesterday I was sitting in the park on the lawn eating an ice cream after work. Actually, half of Belfast was doing the same thing. The thermometer hit 23 degrees and everyone was determined to enjoy it. Then I noticed a buzzing. Above us was a camera drone. 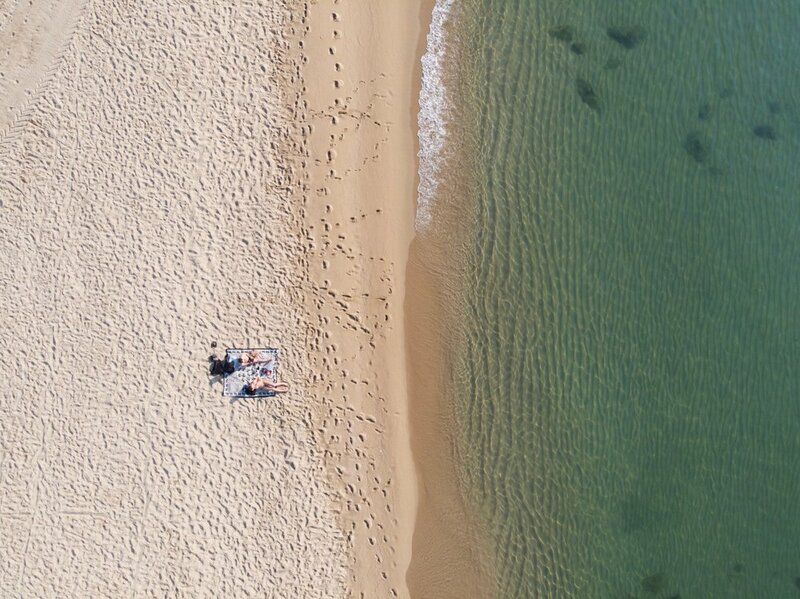 And the more people started to notice it, the more the drone started to interact with the sunbathers. The drone started to lower down on small clusters of people, groups of friends. It swivelled its eye backwards and forwards, focusing from group to group. Girls with their shirts pulled up to get a tan quickly covered up and sat upright. Some people shielded their face. Some people ignored it. Some people gave it the finger. The general feeling was that people were not happy. People joked about knocking it down. And it could have easily been done, as it was swooping to eye level over the lawn. I did some research, and I found that complaints about drones have increased 30 percent in Northern Ireland over the past year. I also found that this drone operator was in violation of the law in Northern Ireland because it flew within 50 meters of people. However, because the park is a public space, the drone operator would not necessarily have been in violation of aviation laws about voyeurism, breach of the peace, or harassment. The interesting thing here is not that people are using drones without a basic understanding of their responsibilities as drone operators, although this is evident. The interesting thing is that camera drones afford the drone operator an anonymity that is not afforded to the photographer using a handheld camera. Photographing strangers takes courage. It takes confidence. It also comes with a host of ethical questions about privacy, consent, and respect. Not everyone can do what Bruce Gilden does, and not everyone would want to. But whereas Bruce Gilden is physically tied to his camera, drones physically separate the camera from the photographer, enabling the camera to do what the person might otherwise not. Ethical questions about drone photography extend well beyond the boundaries of Northern Ireland. In the USA, Poynter and the NPPA led the development of the Drone Journalism Code of Ethics, which includes a clause titled ‘Would you “do that” if you were capturing the image while on the ground?’ The architects of this code ask: ‘If you would not peer over a fence, look into a window or enter private property, how would you justify capturing the same image because you are airborne?’ I strongly doubt that the drone operators in Belfast would have felt quite so comfortable standing over the sunbathing girls with a camera in hand. Is there any difference between peering over a fence for a photograph and sending a camera drone over? The law would say no: both are an invasion of privacy because the subject photographed is not easily viewable from public space. Is there any difference between standing over strangers and photographing them without their consent, and sending a drone over to photograph them? Again, many country’s laws would say no: if you are in a public space, you are considered fair game. There is a difference in both cases, however, when it comes to accountability. When you are holding the camera, you are directly accountable for your actions. When there is an irritating or invasive drone — although he or she is still ultimately accountable for the actions of the drone — the drone operator is anonymous. In this way, drone photography and handheld photography are worlds apart. Can the same regulations really govern the two? Andrew Clark, professor of international broadcasting and the University of Texas at Arlington, invokes the axiom: “Just because you can fly somewhere legally, doesn’t mean that ethically it is the right thing to do.” As this axiom suggests, there are two codes that we operate under, the law and ethics. While it might be legal to stand over strangers and take their photograph without their consent in a public park, few people would. I would argue that it is the feeling of personal accountability, rather than the threat of criminal charge, that prevents us from crossing ethical lines. We are social creatures and we conform to social norms, to some extent at least. We don’t want to be caught doing something inappropriate. When we are personally connected to our actions, we self-govern to stay within the realms of what is socially acceptable. It is outside of social norms to stand over a stranger with a camera without their consent. However, we feel less accountable for our actions when we are anonymous. And in this anonymity, unsavoury things can happen. We have seen this with the internet and the rise of the online troll. This anonymity that detaches the person from the action has the ability to open the floodgates for antisocial, abusive, or otherwise creepy behaviour. This is certainly not to say that camera drones are harbingers of antisocial, abusive, or otherwise creepy behaviour. Camera drones have enormous potential to have a positive impact across society. The recent issue of Time detailed some ways in which camera drones have been implemented to solve some of the world’s biggest environmental and humanitarian problems. Parley SnotBot camera drones collect information about the migration patterns and health of whale populations. Air Shepherdcamera drones are used to combat illegal poaching. Camera drones have also become a core tool for humanitarian workers to assess damage after natural disasters like Hurricane Maria. Yet few cases of camera drone use are without their own ethical questions. In the case of damage assessment and disaster relief, Kakaes raises important questions about privacy in these contexts where people may be traumatised, distressed, and living in vulnerable conditions. In the wake of a natural disaster, privacy can be hard to find in homes that are missing roofs or exterior walls. Is it an invasion of privacy to photograph or film these homes overhead with a drone? If so, is the invasion warranted if the visual media is used for disaster response efforts? In answer to these questions, UAViators offers ethical guidelines for the use of drones in disaster and conflict zones. It was in response to similar questions in photojournalism that the Drone Journalism Code of Ethics was developed. Biologists have developed a code of ethics for the use of drones in wildlife research, and ornithologists have developed their own set specific to the study of birds. Although there have been changes to US law requiring Remote Pilot Airman Certificates for all drone operators since his article was written, Kakaes’ concern that there are no ethical guidelines for drone use by private companies is still relevant. He explains that there is great potential for privacy infringement by the private sector, in which he includes media outlets, because of the ambiguous nature of airspace as neither public nor private. Dyan Gibbens raises further concerns about how companies store and protect the data they gather by drone. She urges them to review drone software user agreements and to instate ethics policies. However, all of these ethical guidelines, both existing and proposed, target people using drones in a professional capacity. Where does the recreational drone photographer fit in? However, the Drone Code is only a reflection of existing laws to protect the safety of people and property when flying drones. It does not wade into the territory of ethics, unlike the professional ethical guidelines listed above. Additionally, while commercial users of drones are required to enroll in a Civil Aviation Authority (CAA) approved National Qualified Entity (NQE) and apply for Permission for Aerial Work (PfAW), there are no regulatory structures to ensure that recreational drone operators are legally compliant. In the US, there is a document outlining voluntary best practices that is applicable to both commercial and recreational drone use, however these practices are not legally binding and involve no regulatory oversight. Yet in many ways, as aerial photographer George Steinmetz points out, this democratization of drone use is no different from the democratization of photography. Both drone operation and photography lack clear ethical guidelines for the recreational user, and in both cases poor practices among amateurs who are unregulated or unfamiliar with regulations can negatively impact the broader industry. Professional camera drone operators will likely be operating under a set of industry guidelines for the ethical use of drones. As we have seen in the examples above, such guidelines are often more stringent than the existing legal regulations. Although these guidelines are not legally binding, professional users may instead be obliged by peer oversight to adhere to such guidelines. With personal accountability diminished by anonymity in the photography process, recreational camera drone operators have no similar system of oversight. Since professional drone photographers are often already operating drones under a stricter regulation that the law requires, would having a set of laws for drone photography that are different from those of handheld photography actually hinder the work and stifle the creativity of professional drone photographers? Or would it just bring amateur drone photographers up to the same or similar ethical standards of use as professionals? Not everyone will answer these questions the same way. However, as long as complaints about the misuse of drones continue to rise, the public’s desire for increased regulation of camera drones will only grow. If photographers take the lead in developing regulations for recreational drone photography, we can help shape regulations in such a way that individuals’ rights and public safety are protected, but our creativity is not compromised. In the end, we may find that having different regulations for the use of drones in photography improves the public’s perception, creating a long-term benefit toward continued growth and innovation in drone photography. Article originally published in Witness on 13 September 2018.